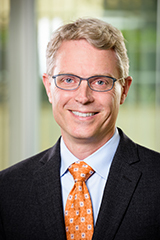 Since the oldest among this rising generation are just turning 22 this year, and most are still in their teens or younger, we hesitated at first to give them a name – Generation Z, the iGeneration and Homelanders were some early candidates. (In our first in-depth look at this generation, we used the term “post-Millennials” as a placeholder.) But over the past year, Gen Z has taken hold in popular culture and journalism. 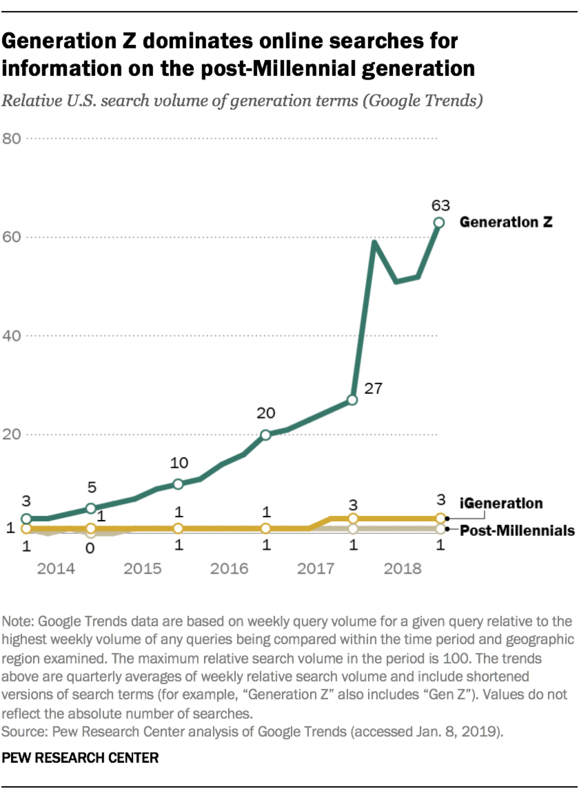 Sources ranging from Merriam-Webster and Oxford to the Urban Dictionary now include this name for the generation that follows Millennials, and Google Trends data show that “Generation Z” is far outpacing other names in people’s searches for information. While there is no scientific process for deciding when a name has stuck, the momentum is clearly behind Gen Z. Most Millennials were between the ages of 5 and 20 when the 9/11 terrorist attacks shook the nation, and many were old enough to comprehend the historical significance of that moment, while most members of Gen Z have little or no memory of the event. Millennials also grew up in the shadow of the wars in Iraq and Afghanistan, which sharpened broader views of the parties and contributed to the intense political polarization that shapes the current political environment. And most Millennials were between 12 and 27 during the 2008 election, where the force of the youth vote became part of the political conversation and helped elect the first black president. Added to that is the fact that Millennials are the most racially and ethnically diverse adult generation in the nation’s history. 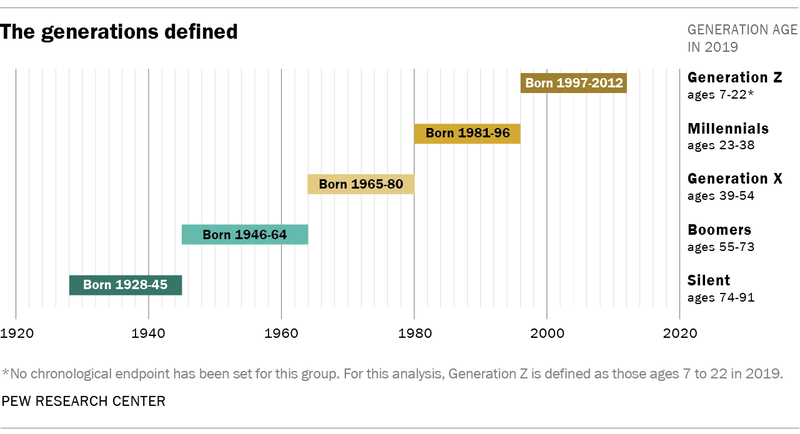 Yet the next generation – Generation Z – is even more diverse.